The forthcoming 'Sightseers' is rising British director Ben Wheatley's third feature film, following last year's disturbing and soon-to-be cult classic, 'Kill List'. 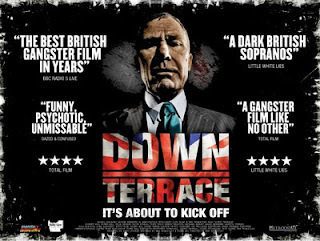 Watch the trailer below for his debut feature, gangster drama 'Down Terrace', and follow the link to be able to watch the film for a limited time for free on BBC iPlayer. Shot in just eight days, Wheatley's 2009 feature won awards at Fanastic Fest and the British Independent Film Awards, while the director himself won Most Promising Newcomer at the Evening Standard British Film Awards in 2010. Its witty, dark nature echoes his latest feature, 'Sightseers', coming out in UK cinemas at the end of this month. 'Down Terrace' is available to watch on BBC iPlayer until 00:59, Mon 5th Nov.